“Till early 2000, in our country production output in marine fisheries sector has been remarkable while inland fisheries remained a cottage industry although it had the potential to contribute much more to our national economy. It happened so because the inland fishery industry was totally fragmented where local controllers used to lease the water bodies, the produce was sold to exporters, farmers always worked as laborers as middlemen took the major share in the profits and the available resources are underutilized! Besides, the industry lacked the technical knowledge and guidance. 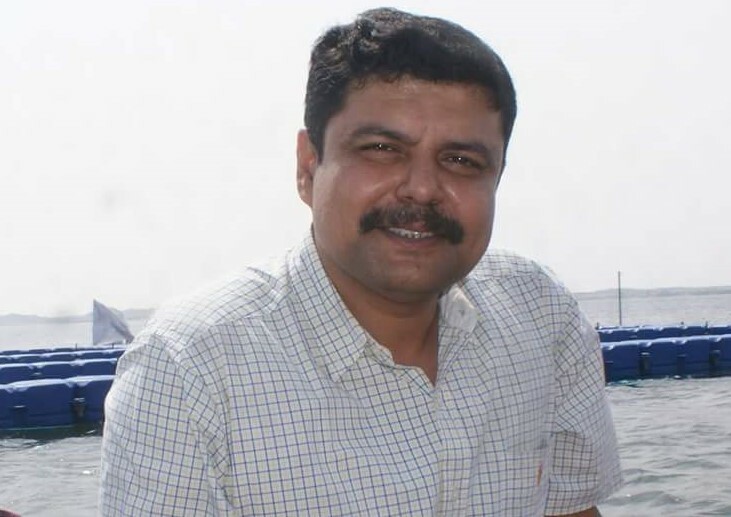 We committed to address these issues, support the small and marginal farmers turn into entrepreneurs and evolve inland fisheries in India,” says Mr. Neelkanth Mishra, Chief Executive, Centre for Aquatic Livelihood Jaljeevika. The organization begins by facilitating farmer groups to acquire rights to the local water resources and then trains them on every aspect of inland fisheries precisely value chain, seed production, net making, breed diversity (fish and water plants), value addition processes (filet, fish fry), sales and marketing. The end beneficiaries, small and marginal farmers from tribal and other communities are then empowered to take up entrepreneurship. The organization was established on August 2013 at Sangli, Maharashtra. In the span of five years, organization has been successful in integrating inland fisheries into existing fisheries CSOs, funding agencies, NGOs and government ministries to support the growth of the sector. The different livelihood programs are operation in Madhya Pradesh, Jharkhand, Orissa, Bihar, Telangana, Andhra Pradesh and West Bengal. Mr. Mishra and his team are working tirelessly to promote inland fisheries by implementing innovative techniques and marketing strategies. Fish farming is always capital intensive but, “We have brought down the initial investment cost by introducing low-cost materials to develop the minimum infrastructure for operating and maintaining the fish ponds,” he informs. Native species, intercropping and feed management are other areas of concern for Centre for Aquatic Livelihood Jaljeevika. “We consider water pond like any other land-farm thereby growing one fish variety is mono-cropping and that is not in the favour of any farmer hence in every single pond minimum 2-3 fish varieties have to reared simultaneously. Further to balance the eco-biodiversity of aquatic farm we strongly suggest farmers to grow other crops like azolla, foxnut (called makhana in Hindi). Farmers can recover all their farming expenses from these intercrops and fish sales would give them 100% profit,” he elucidates. Growing and selling local fish varieties are always profitable for the farmers. Native fish breeds preferred are rohu, catla and mrigal. Other varieties chooses are common carp and grass carp. “As farmers are encouraged to sell their farm produce in local market instead of exporters for assured sales, it is always better to grow native varieties of fish over exotic variants,” he explains. In fishery, 50% production cost is incurred on fish feed thus to minimize it Mr. Mishra has developed a low-cost technique. Fish are fed with farm grown azolla, farm residue and oilseed processing waste such as paddy/maize, oil cakes etc. To improve the fish yield, Mr. Mishra recommends more plankton production. To do so, “Dilute dung of one desi cow in water and mix it in the pond water every day. It surely would increase the plankton production in water. With more microorganisms in the water fish would have regular supply of natural feed. Farmers will add trolley full of cow dung at one go in the pond, this is not correct instead it must be done every day in little quantity so that plankton and fish growth is uniform. With these measures there will be no need to use any top feed,” he says. Next, he has identified a technique after intense market survey. “Usually fish is harvested and sold once it weighs 1-2 kg after 8-9 months. It is then sold at Rs. 150-200/kg. I observed that selling price of market never changes with the weight of fish. This implies if farmer sells 1+kg or 250 gram or 500 gram fish in the market he would sell it for Rs. 150-200/kg. Further as the fish gains weight, the production cost increases as it requires more feed and manuring as well as it is prone to disease so needs medication too. Therefore it is more profitable to harvest and sell fish when it weighs 250-300 gram, once in 2 months. In this way in one year farmer can harvest fish four times and increase his farm revenues and decrease the production cost,” he elucidates. Another change advised to the farmers in low-cost farming technique is to add more number of fish seedlings so that production is more because when seedling is small it adjusts well in less space and anyways it has to be harvested soon after it weighs 250-300 gram that is once in two months. The mortality is also less because small and low-weight fish are less prone to disease attacks, it moves freely even in small pond. To empower farmers Centre for Aquatic Livelihood Jaljeevika introduces them to new avenues of generating income. One such program is producing fish seedling. Fish seedling are of three types namely spawns (3-4 days old), fry (30 days old), and fingerling (45 days old). Fingerling costs Rs. 2/piece while spawns are the cheapest. However, the mortality is most in spawns (90%) and less in fingerlings. “We provide the knowledge and training to the farmers to incubate the spawns in their pond itself or rear the spawn to reduce the cost. We make sure to train the farmers really well that they face minimum mortality. In case they learn to incubate the spawn then they sell it to other farmers and earn additional income. This model has been greatly successful in Andhra Pradesh. As of date 700 farmers are growing seedling and earning additional income,” he highlights. Lastly in sales and marketing, the organization insists farmers to sell fish in local village market over the exporters. “Selling fish in local market is not a problem as it is staple food for many communities residing in village while selling fish in cities is difficult due to logistics overheads like ice, transportation etc. In addition, to boost the fish sales production and harvesting is planned keeping the festivals and family functions in the consideration because rural folks prefer cooking fish as feast on special days. Further we have also noticed rohu fish gets sold in urban market at Rs. 150/kg while in local market it might get sold at even Rs. 200-220/kg. It is the factual figure! Marketing is not a problem if the produce is available in good quality. If the price is too low then farmers can also take the decision of not harvesting the produce therefore growing local species and selling in local market is always profitable for the farmers,” he affirms. More than 7000 are directly associated with the organization and could bring positive change in their livelihood. “We could also effectively empower women in naxal belt. When we started there were less than 50 females associated with us but now the number has increased to 3000+ women farmers,” he shares. “We are working alongside farmer groups for longer and standardization of leasing policies and ensuring that inland fisheries programs are included in the general water resource and agriculture programs. We are also trying to make financial process flexible to easily get the loan for agriculture,” he reveals. With support and guidance of Centre for Aquatic Livelihood Jaljeevika, inland fishery resources have been streamlined and farmers are able to upgrade their livelihood. “Presently there are 100+ farmers co-operatives in all seven states are performing very well. We are happy with the progress made so far and shall continue our operations to accelerate the growth and development of these farming communities,” he concludes.